First off, I want to apologize for the lateness of this post. I do my posts up early and I was trying to publish one for this challenge last night when I ended up deleting it instead. That will teach me to try to work on posts when I am getting a migraine. Anyways, so I needed to rewrite it today and get it up. Still dealing with the last of the migraine though so I am just going to put up the pics without a lot of description. I really went for the contrast of black and white in both of these. On the first one, the only thing that I added was a clasp. On the second, I used the crystals and the pearls from the wonderful kit that Lisa sent me and added the rest from my stash. 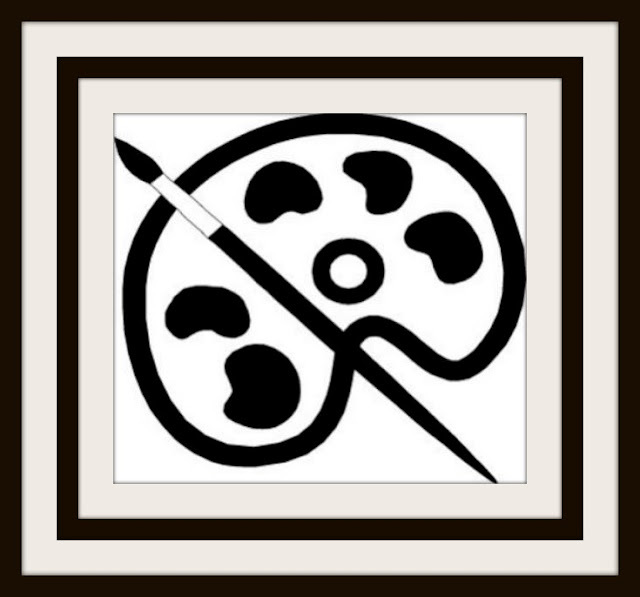 Now be sure to check out everyone else's designs. I am sure that their posts are going to be much more descriptive. Great stuff! I think that your necklaces are a fine example of the black and white theme. Hope you feel better soon. Two excellent necklaces! I would wear both of them a lot. Hope your headache goes away soon. Thanks for being in the hop! I love the first necklace the best. 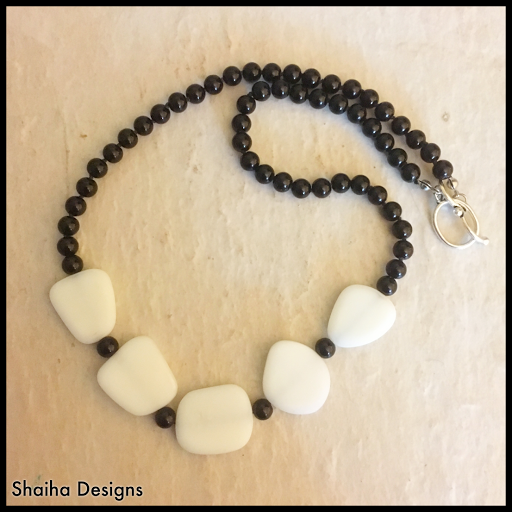 The contrast of the large beads to the small beads and the white with the black is wonderful. 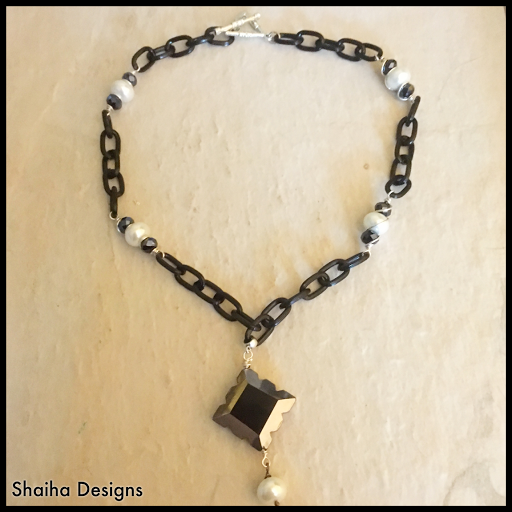 Beautiful pieces, I love the chunky necklace, I love large beads and the contrasts makes them pop even more. Great job Shai. I like the second one best. Beautiful necklaces, I love the wire wrapping you did on the links of the second one. Hope your migraine is better.